Shimmers and flakies and chameleons, oh my! But man, some dudes just don’t get it. Wheeee!! 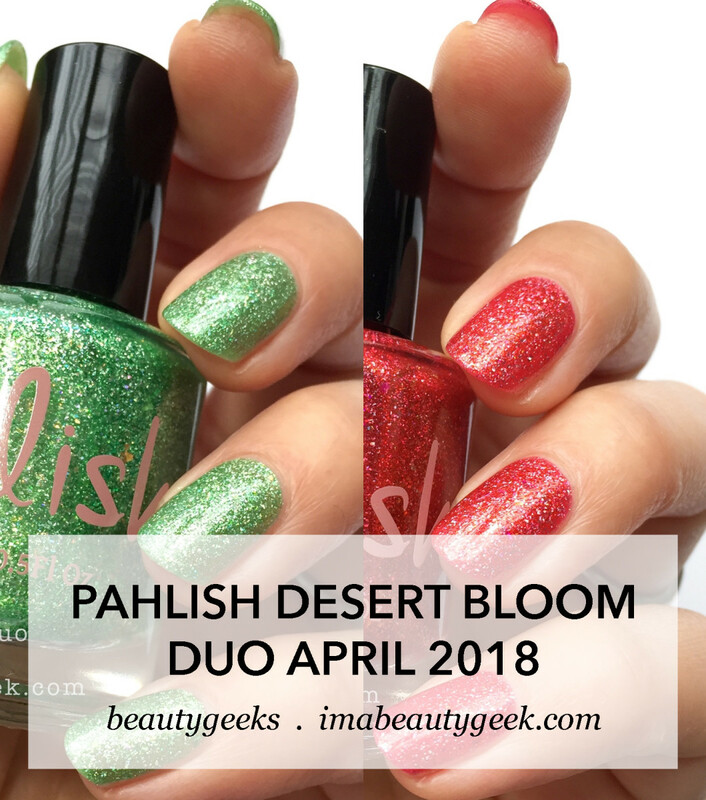 It’s swatches of the Pahlish Desert Bloom Duo for April 2018! I&apos;ve got a Prickly Pear and a Cactus Rose to show you! It’s like a red ‘n green Christmas in July! Except it’s April. That doesn’t matter to me though because here in the TDot, it’s snowin’. Yep, snowin&apos;. 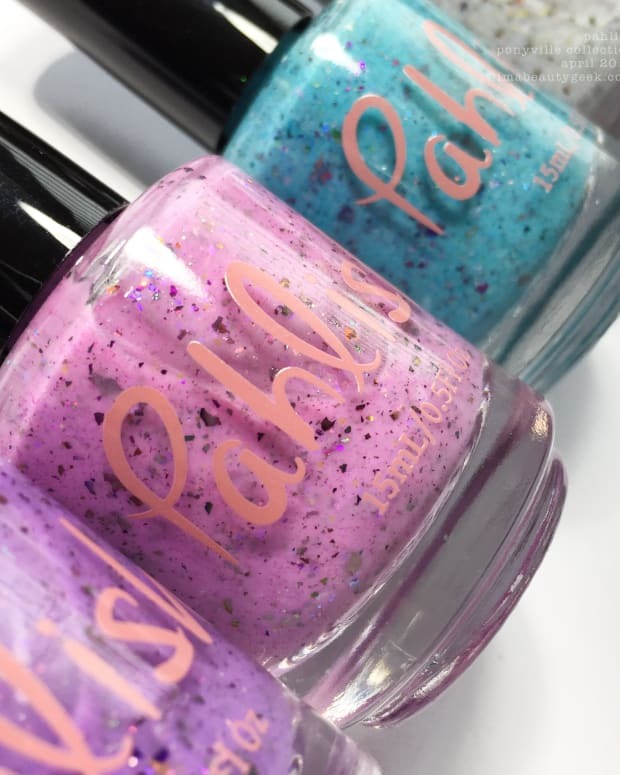 They’re so super-sparkle-tastical I can barely stand it – shimmers, and flakies, and chameleons, oh my! When Shannon made Hemlock last month, it took my No.1 Green of Ever spot. Now there’s Prickly Pear and I think it’s bumped my No.2 Creative Play Shamrock On You down to the No.3 spot. Shannon is a green machine! Ppfft. Some dudes just don’t get it.